"OrderCup is a shipping application that integrates with many platforms and carriers, streamlining shipping operations so you can provide better customer service, while saving time and money!" OrderCup provides you a feature-rich shipping platform with a simple, easy to use interface for both large or small shippers, and access to discounted shipping rates and a host of value-added features such as returns, free global address validation, discounted insurance and more. OrderCup integrates with multiple shopping carts and shipping carriers, allowing you to automatically fetch orders, generate shipping labels and related documents like packing slips and customs forms, update the orders in your cart with shipping information and trigger tracking emails to your buyers. Best in class support - don't take our word for it, experience it yourself! 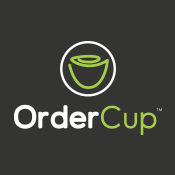 OrderCup is a US company with global customers and offices in US, UK and India. For more information visit the OrderCup website. For non-integrated eCommerce platforms, we also support importing orders via CSV files. Contact support at [email protected] or click the Support link in OrderCup to access our Knowledgebase or create a ticket.